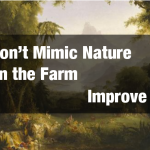 In a previous post, I argued that we should cast aside the ideas of “balance of nature” and “nature knows best” in designing farming systems. If nature has not been optimized by any process that we know of, and therefore consists of mostly random mixes of species dictated primarily by natural disturbances, then there is no reason to “follow nature’s lead.” But if we don’t, what are we left with? Cover crops and green manures, including cover crop cocktails; this is where we can study unused and underused species to take advantage of “nature’s wisdom.” Precision crop planting in sequence with cover crops could potentially improve cover cropping benefits by allowing crop roots to advantageously colonize the root channels of the dead cover crops (i.e., sequential root channel colonization). 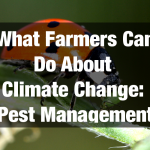 Integrated pest management including the use of improved pesticides. GMO crops, including cover crops. All these practices could be more widely used and more effectively applied. How about those practices promoted because they mimic nature? 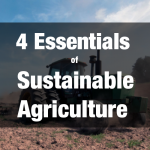 Denison, in Darwinian Agriculture1, evaluates four of these nature-based practices: perennial grain crops, reliance on only local sources of nutrients, intercropping, and reliance on diversity to control pests. He then goes on to survey the evidence for each and gives his assessment. I’ve summarized Denison’s assessment here. Reliance on only local sources of nutrients – With regard to following nature Denison asserts, “local sourcing of nutrients in natural ecosystems is a constraint imposed by lack of external inputs, not an example of ‘nature’s wisdom’.” In other words, although it may be advised to use local sources of nutrients as much as possible, it should not be a constraint to us, just because it is a constraint of natural lands. 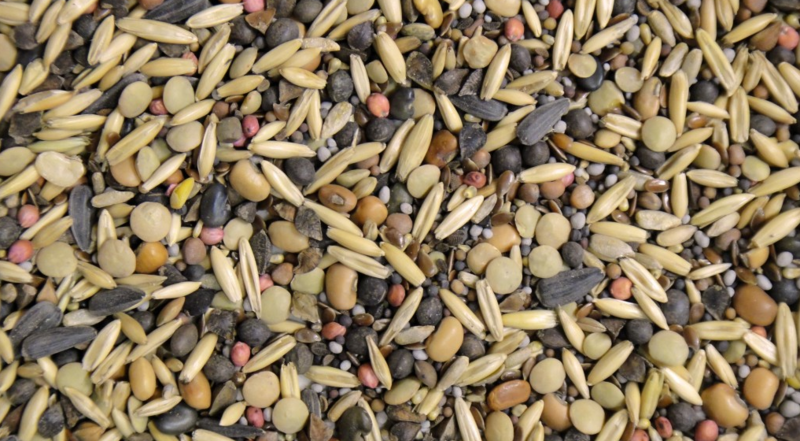 Reliance on diversity to control pests – Here Denison compares diversity in space, the “balance of nature” that inspired intercropping, with diversity in time, or crop rotation, which has a long history of success and is not commonly found in nature. With intercropping, he points out, you expend the advantages of diversity (here, for pest control) the first year the intercrop is planted. What do you do for diversity the second year, he asks? On the other hand, with crop rotation, the whole system changes each year. Denison suggests that the latter would work better than the former in the long run, but he is not aware of any research that has addressed this question. 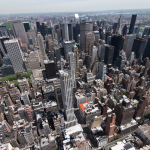 Nevertheless, there is no lasting solution to pests; “ongoing evolution [of pests] will tend to undermine all of our pest control measures, not just those based on toxic chemicals.” We cannot get off the pest control treadmill. Although I think we would be better off without the “mimic nature” baggage, I am not saying that biodiversity is not important. We should incorporate more diversity in our cropping systems, not because nature is diverse, but so we can better use the properties and processes in individual plants. If it exists anywhere, the “genius” of nature is in individual species and not in the ecosystems. Right now, other than corn, soybeans, rice and wheat, we have not thoroughly explored the capabilities of many plants, domesticated or not. Neither am I saying that interactions between species are not important. We should study intentional combinations of species, mixtures not found in nature, searching for simple, direct interactions between species that will give us our desired results. As Denison points out, we may gain more knowledge of individual species when they are studied in communities with other species – a job for agroecologists! 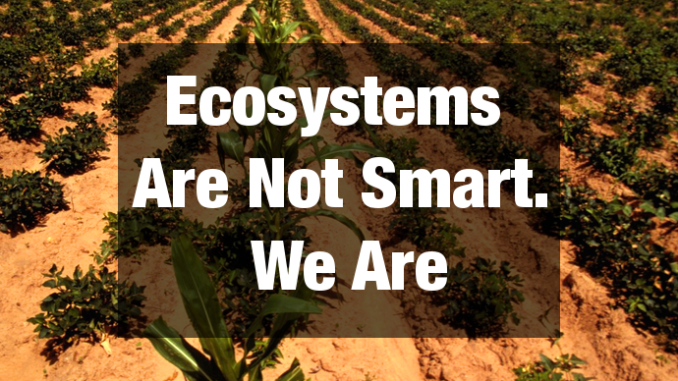 However, if the idea that the sustainability of natural ecosystems depends on complexity is an illusion, agricultural systems should only be as complex as needed for our purposes, not more so. Another benefit gained by casting aside “the romantic notions of a stable Eden”2 is that it should make us less susceptible to “silver bullet” solutions, wishful thinking and other such nonsense. In my experience, this is most needed in soil and pest management. 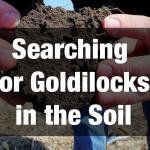 There are no quick, easy, and cheap methods to improve soils. It takes bulk organic materials, either grown on-site (less expensive) or imported (more expensive). 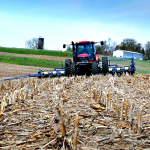 In the long-term, the nutrients that are harvested in the crop must be replaced; they cannot be produced by “better biology.” For insects, weeds, and disease, no amount of tweaking the system will make them go away. 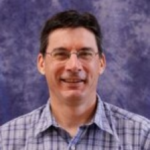 Jason Carter is one of the five South Carolina farmers participating in a field study funded through a U.S. Department of Agriculture (USDA) Natural Resource Conservation Service (NRCS) Conservation Innovation Grant. 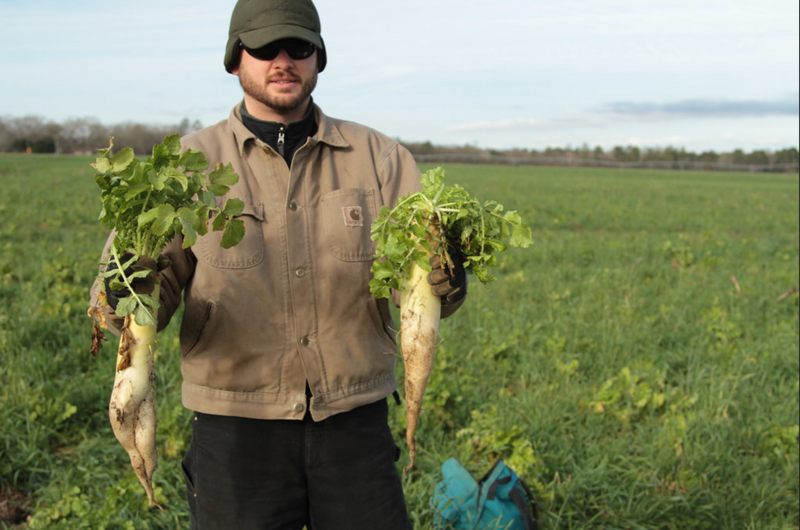 His tillage radishes are part of his multispecies cover crop mix. USDA NRCS photo. There are those who will find this whole notion yet another example of arrogant man trying to control nature, and there are plenty of examples of where we have done a poor job at managing the Earth. However, we must realize that farming is controlling nature for our own purposes. We still need nature, and “wild” places, but unless critics can point to a mechanism by which natural ecosystems were consistently improved, we should not use them as blueprints for agriculture, nor should we assume that we cannot improve on them. There is no utopian state of nature, so we can stop trying to restore, recover, or regain any such state in agriculture. There is no way back, but there is a way forward. 1 Denison, R. F. (2012). 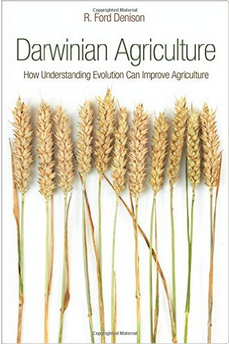 Darwinian Agriculture: How Understanding Evolution Can Improve Agriculture. Princeton University Press. (Denison’s other main thesis in this book is that natural selection has left us few tradeoff-free opportunities for genetic improvement through genetic engineering. Full Disclosure – Denison served as my major professor in graduate school at UC-Davis.). His book-related blog. 2 Marris, E. (2013). Rambunctious Garden: Saving Nature in a Post-Wild World. Bloomsbury Publishing USA.